Bangladesh were resilient and well-organised for the first 30 minutes until a free kick by Bimal Magar and a goalkeeping mistake made it 0-1 for Bal Gopal Maharjan's team in the 33rd minute to make the hosts jittery. The goal gave Nepal confidence to stay in control for the rest of the match. 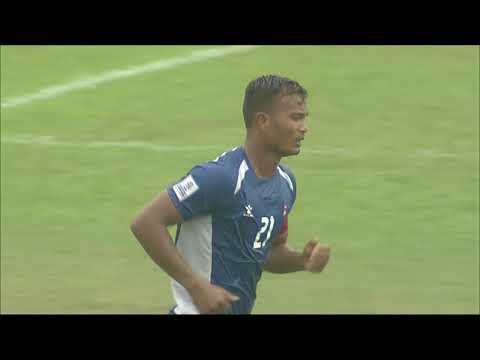 Nawayug Shrestha scored in the 90th minute to extinguish any dreams of a late dramatic equaliser from the hosts. "The first goal was a mistake by the goalkeeper and it happens in football. I am extremely proud of the boys. We were caught in the end, but we had to go forward because we had to stay in the competition. Two wins and beating Pakistan was a highlight for us," said Day. "If the crowd feels disappointed, then I feel sorry for the boys because the effort they have put in doesn't deserve that," he added. "It was a hard game for us. Playing against the home team is always difficult but we stuck to the plan and emerged successfully," said assistant head coach of Nepal, Kiran Shrestha. "The morale of the players was high ever since our win against Bhutan. This win will definitely boost our spirits to go further," he added. The win ensured Nepal finished on top of the group. They will face the runners-up of Group B on 12th September.